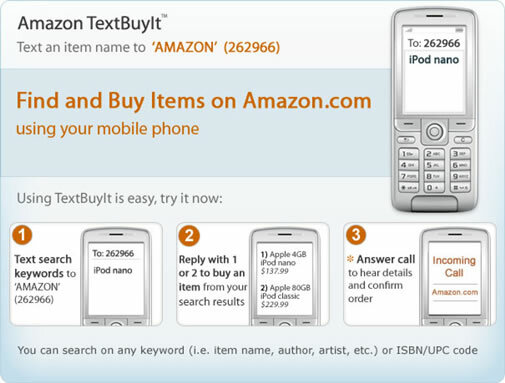 Amazon launched a TextBuyIt service, using that users can buy stuff from Amazon using you their cell phones. Mobile communication is growing rapidly and so web adoption to mobile. TextBuyIt is a smart move from Amazon to give its users another option to stay with them. Now thats pretty cool , but i think it must be limited to only few countries ..or only US ? ?